Google has just announced a smarter, faster, more powerful and sweeter than ever version of Android a.k.a. Android Oreo. Most of the features of Android Oreo are available through a developer preview. Google also announced that the latest Android operating system will be available right away for Google’s own Pixel and Nexus devices. According to Google’s VP of Engineering Dave Burke, Google has worked with various hardware makers, including Essential, Huawei, HTC, Kyocera, Motorola, HMD Global Home of Nokia Phones, Samsung, Sharp, and Sony on Android Oreo upgrades and new releases. 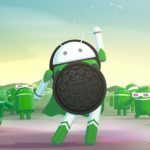 These companies are expected to support Android 8.0 Oreo on their devices sometime around the end of the year. Android 8.0 Oreo is supposed to be better in many ways compared to its predecessor Android 7.0 Nougat. The newer features include Picture-in-Picture, AutoFill, Wi-Fi Aware, multi-display support and smart sharing. Under the hood, there have been a lot of improvements like better handling background processes, longer battery timing, etc.